A native of Houston, Texas, Rev. Johnathan Taylor is a highly motivated Minister of the Gospel of Jesus Christ, called by Him to preach and teach the Gospel in such a manner as to reach the youngest child, to draw the greatest of sinners, and to challenge the most conscientious of saints to trust and obey Jesus Christ as Lord and Savior. He accepted Christ in 1988. He accepted his call to the Gospel Ministry in 1996. He accepted the call to pastor Mt. Olive Missionary Baptist Church in February 2014.
to leading Mt. Olive, He served as the Associate Minister at 4th Missionary Baptist Church in Houston, Texas under the pastorate of Rev. Walter F. Houston from 1996 until 2014. He was also a Sunday School teacher for youth ages 12-14 from 1998 until 2014. Pastor Taylor sang in the Branch Inspirational Choir from 1997 until 2014 serving as the Vice President. Pastor Taylor’s vision is to be used by God to shepherd God’s people (I Peter 5:2-4), equip His saints (Ephesians 4:12), showing love to His disciples (St. John 13:35) and to preach and teach the whole counsel of God (Acts 20:18-28) and reach the unsaved through the preaching of the Gospel (Matt. 28:19-20). His priority is Biblical preaching and teaching. He focuses on evangelistic outreach as a member of the Evangelistic Team Street Ministry from 2000 until 2014. He believes you have to meet people where they are in life and help bring souls to Christ. Since being called to pastor Mt. Olive, Pastor Taylor has put in a great deal of work. Existing Auxiliaries were revived and restructured and new ministries were established. In one year we saw the revival of the Mission and Brotherhood, establishment of Youth and Young Adult Ministry, training of Junior Deacons, and a new ministry was started, Daughters of the King. The membership increased and the spirit of the people was renewed and refreshed. To lead the church in understanding, embracing, and accomplishing the mission, to develop disciplines, and engaging followers in worship, community, and ministry. To devise and implement church vision and execute strategies to achieve short-range and long-range spiritual and organizational goals and objectives. To spearhead outreach and pastoral efforts such as biblical counseling, wedding, and funeral services. To work with Outreach Committees to implement ministries reaching out to unchurched, inactive, and new residents of the community; direct assimilation of new members into congregation. In the secular, Pastor Taylor was employed as a Service Center Manager for Broadway Across America from 2003 until 2011. He then worked as a Sales Manager for Direct Energy from 2011 until 2015 when Mt. Olive supported having him as a full-time Pastor. His work experience and training provided him the opportunity to horn his skills in effective listening, clear public speaking, leadership development and team building. He has completed one hundred hours toward a Bachelor of Business Administration in Management at Texas Southern University in Houston, Texas. 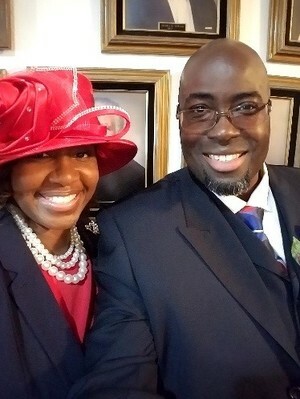 a member of the Independent Missionary Baptist General Association of Texas (IMBGA), Pastor Taylor serves as the Corresponding Secretary, Financial Secretary and Youth Director and was recently elected as the 8th Moderator. I.M.B.G.A., is active within over one hundred congregations across Texas began formally in 1910 when a group of believers came together to discuss maintaining the independence of the individual Baptist Churches. It is one of the oldest and largest associations in Texas. Pastor Taylor is also active in the Missionary Baptist General Convention of Texas. The goal of this organization is to equip and empower district associations and churches in the state of Texas with the ministry resources and skills necessary to make disciples for Jesus Christ by providing teaching, training and consultation for pastors, church leaders and attendees to help them fulfill their potential in and for Jesus Christ. He is also a member of the Baytown Area Ministers Alliance which was created to support, encourage, and minister to the pastors and ministers throughout the Baytown area as well as provide support to the community. Pastor Taylor’s wife of 14 years, Debbie, serves as the Minister of Music for Mt. Olive Missionary Baptist Church. They have two children, Justin and Daphne.